Assassin’s Creed Odyssey’s release date edges closer and closer. As such, Ubisoft’s promotional backing for the new entry is amping up accordingly. The latest look at Odyssey comes in the form of a forty second TV spot, which features gameplay and a brief story overview. Admittedly, the TV spot does not offer much in the way of fresh information or footage. However, it’s still a thrill to see Ancient Greece in all its glory. And who could tire of watching an enemy get Spartan kicked off of a cliff? 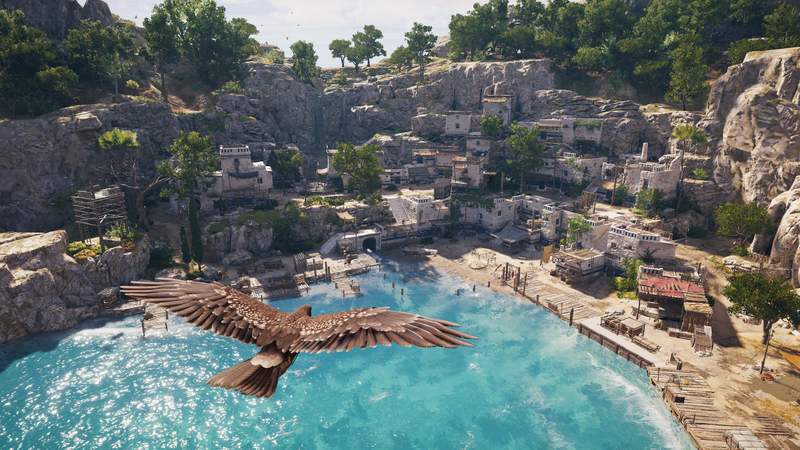 Deadly kicks to the torso and Greek landscapes aside, this addition to Ubisoft’s long-running series aims to establish a new status quo for Assassin’s Creed. As it marks the franchise’s complete evolution into an RPG, Odyssey’s bold step forward features plenty worth celebrating. This is the first mainline AC title where a female assassin is playable in the game’s entirety. Additionally, developer Ubisoft Quebec is debuting a nuanced choice system. In 2019, Assassin’s Creed won’t receive a new release. Rather, Ubisoft plans to allow the series to take another year off, as it did between the releases of Syndicate (2015) and Origins (2017). However, fans will still get their Assassin’s Creed fill. Ubisoft Quebec intends to support Odyssey throughout 2019 with additional content. In this way, Odyssey’s post-launch plans mimic a live service model. What this content will include and how it rolls out remains a mystery. Yet, franchise precedent suggests story DLC and new modes could be in the works. Assassin’s Creed Odyssey will allow fans to explore Ancient Greece, once the game drops on October 5, 2018.